If you plan to travel to certain countries, we recommend specific vaccinations and immunizations. Read about your destination and find out what problems you might encounter. 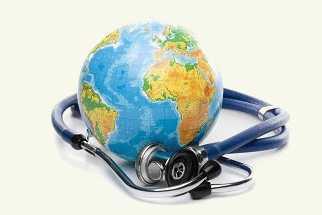 We can help by giving you information about various diseases and viruses that you can meet in your travels. We carry all kinds of travel vaccinations at low prices and do not charge an appointment fee. The Walk In Travel Clinics at Marston Pharmacy and Northway Pharmacy, Oxford and Frosts Pharmacy, Banbury can make sure that you and your family are protected wherever you travel. The Walk In Travel Clinic is ideal for businessmen and women, students, holiday makers and pilgrims who need an easy, speedy and convenient travel health service. We can give you advice on staying healthy, supply malaria medication, and administer travel vaccinations without a doctor's prescription (subject to certain medical conditions). The Walk In Travel Clinic at Marston Pharmacy is a designated Yellow Fever Vaccination Centre and has been authorised by NaTHNaC (as the regulatory body for England, Wales and Northern Ireland), to administer yellow fever vaccine in accordance with International Health Regulations (2005). You can find Walk In Travel Clinics within Marston and Northway Pharmacies, Oxford and Frosts Pharmacy, Banbury. GPhC Registration Number 1035893. Copyright © 2012 Frosts Pharmacy. WalkInTravelClinic is a trading name of Frosts Pharmacy Limited. Registered in England & Wales Unit 7, Apollo Park, Wroxton, Oxfordshire, OX15 6AY.